Swarovski Crystal Onyx Rivolis are bezelled with nickel plated cylinder beads. 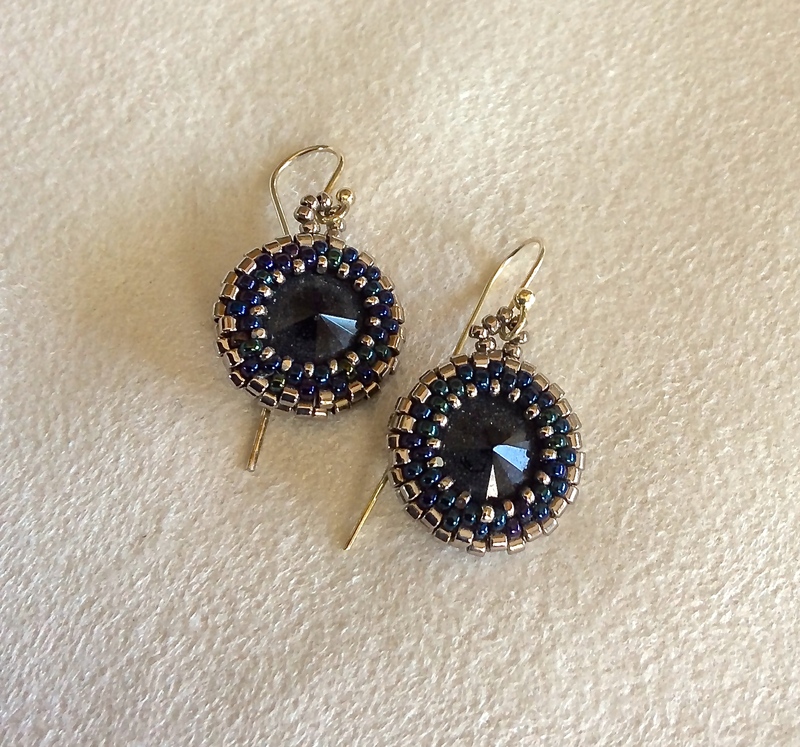 A tiny inner circle of metallic beads accent the crystals. The earring wires are sterling silver. There is a matching bracelet.